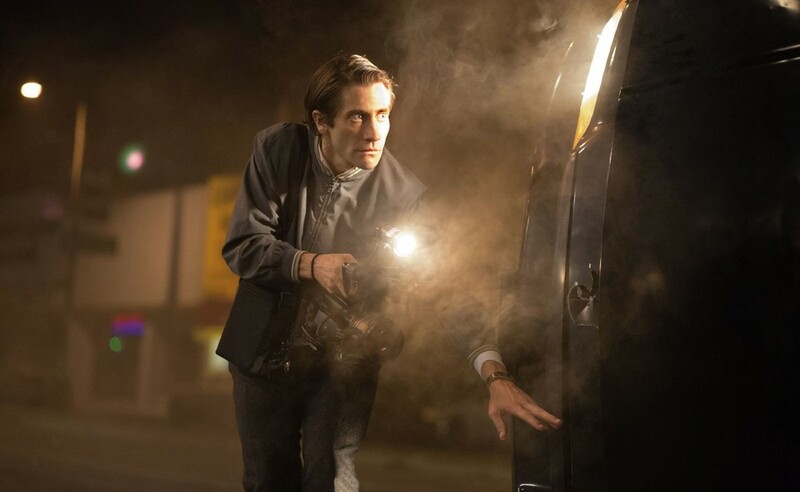 Nightcrawler stars Jake Gyllenhaal and is directed by Dan Gilroy. IMDb synopsis: When Lou Bloom, a driven man desperate for work, muscles into the world of L.A. crime journalism, he blurs the line between observer and participant to become the star of his own story. Aiding him in his effort is Nina, a TV-news veteran. I was excited to see this movie. The trailers looked great, and the acting by Gyllenhaal seemed really good. I can say that I was VERY satisfied with the film. Let's start off by Gyllenhaal. He was fantastic. I didn't see him at all. I saw a totally different person. His performance was just very real and amazing. The character he's playing, Lou Bloom, is a complete psychopath. In the business he is in, he needs to get good footage of breaking news fast. In order to do that he will go to extreme measures to make sure his footage is gold. Also, right from the start I could tell something was off about him. He had a perky behavior, and it was kind of unsettling. 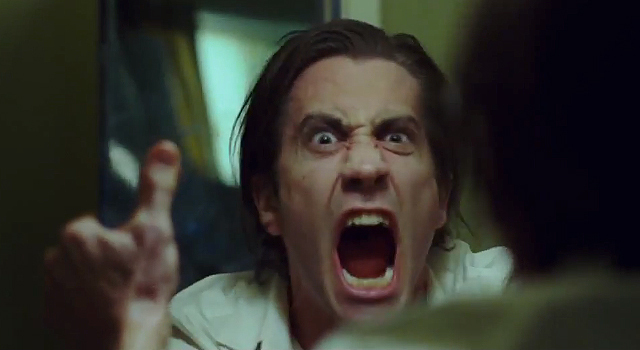 Gyllenhaal's performance of this psycho was brilliant. It might just be one of his best performances. The film also had some great suspense scenes. There was one in particular that was really entertaining and nail biting. I was on the edge of my seat from start to finish in the whole entire scene. It was some excellent work. If you've seen my review of Gone Girl, I mentioned some stuff about how the news could be false. You get the same feeling in this movie, but it's more along the lines of the business of news. It explores the world of people who get news stories on camera. Lou went a bit on the crazy side to get the perfect footage. We could have someone like Lou who works to extreme measures to get news footage. It's kind of scary to think that this character could possibly be real. There was one main problem that I had with the movie, and it was that I felt like it had an abrupt ending. I won't spoil anything, but something was being built up, but it ends up not happening. They just leave that plot point and the movie ends there. I would have liked to seen more with this storyline. Overall, I enjoyed Nightcrawler. It had some great acting, really good suspense scene and that strange feeling about the news. I would like to see more from that plot point I mentioned above though. If your looking for a film to see for the weekend, I recommend you check this one out. What did you think of Nightcrawler? Lemme know. Also, I'm still doing my Batman reviews. I will have one up soon!